#stampinup #faithfulinkspirations I've got one more card in the series that uses the Classic Garage Suite of products on pages 42 and 43 of the Occasions catalog. If you haven't seen the others that I posted earlier this week, go back and check them out. I'll wait. Today's card is the final variation on the Basic Black, Real Red, Whisper White, touch of silver theme. And it uses another image that I fussy cut from the Classic Garage 6" by 6" Designer Series paper. How cool is this? I stamped a sentiment from the "Geared Up Garage" stamp set in Memento Tuxedo Black Ink onto the bottom corner of a 3-3/4" by 5" Whisper White Panel. I embossed a 3-3/4" by 2-1/2" piece of Silver Foil with the Tufted Embossing Folder and adhered this to the left side of the Whisper White panel. I adhered the panel to a 4" by 5-1/4" Basic Black Card Stock mat. Next I wrapped a length of Black/Silver 1/4" Striped Metallic Ribbon around the right side of the card and cut the end with my Paper Snips. I adhered everything to a Real Red Card Stock card base. 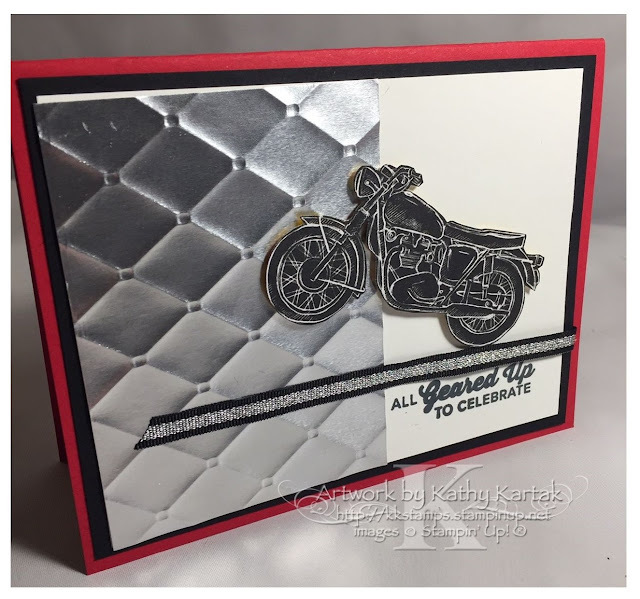 To finish the card, I fussy cut a motor cycle from one of the sheets of the Classic Garage DSP and adhered it to the card with Stampin' Dimensionals. Look! It's doing a wheelie! You can get the Garage Gears Thinlits and the "Geared Up Garage" stamp set in a bundle (150610)--and save 10% off the price of purchasing them separately. PROTIP: You can cut the printed gears from Classic Garage DSP (148482)--it's a perfect match! 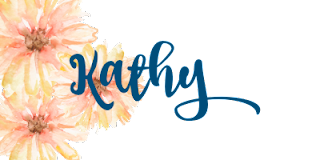 And when you purchase the bundle and DSP you'll be set to make some awesome cards AND you will have earned enough to get yourself a FREE Sale-a-Bration item!